Ed Vuolo grew up on Long Island, NY, graduated from high school in 1966 and two years later he was drafted into the U.S. Army. Vuolo went to Long Binh, South Vietnam. 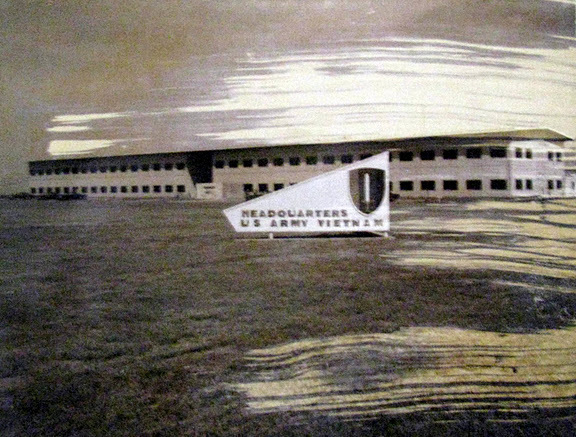 It was a major base 30 miles outside Saigon and it was also the United States Army Headquarters, Vietnam. He took a computer course and ran IBMs with punch cards in those days. 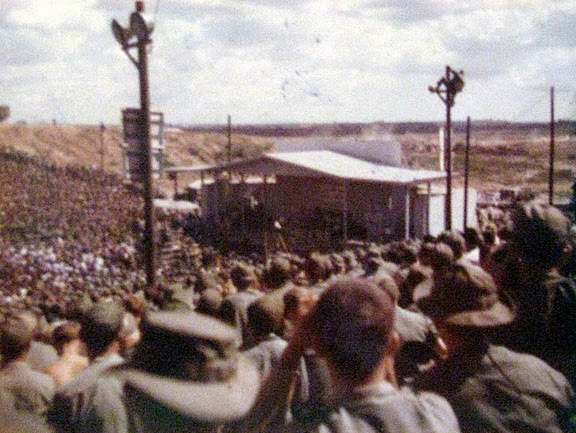 One of Vuolo’s Vietnam high points came in 1968 at Christmas time. 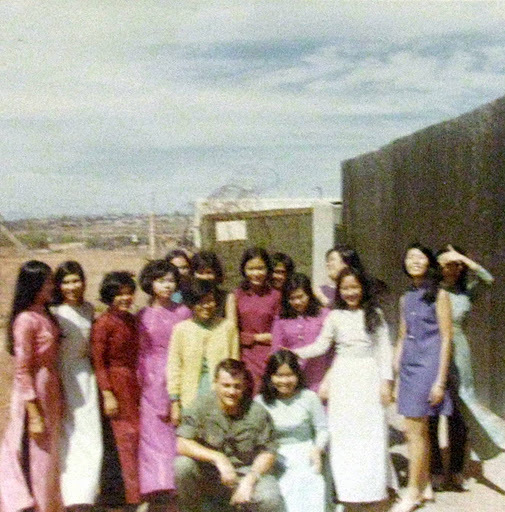 Bob Hope and a contingent of shapely young ladies arrived at Long Binh to put on their Christmas Show for the troops. “Five-thousand screaming Soldiers, Sailors, Marines and Air Force guys were there to get a look at Ann-Margaret and Hope’s bevy of beauties,” he recalled with a chuckle. “Bob started the show swinging a golf club on stage and cracking jokes. I also got to see Johnny Cash and his guitar. Although Vuolo said he had a good time in Vietnam and extended his one year tour to 16 months in country, it wasn’t all pretty girls and computers for him over there. 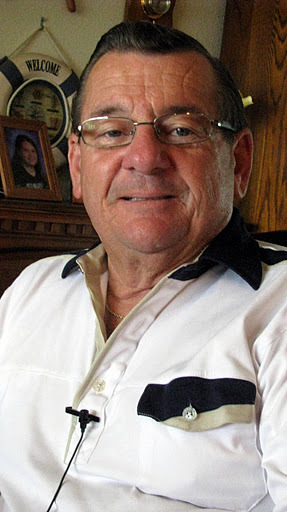 He fought in the “Tet Offensive.” “Tet” was where thousands of Vietcong and North Vietnam Army soldiers tried to overrun many of the major South Vietnamese cities held by U.S. and Republic of Vietnam forces. It began on Jan. 31, 1968. “It started for us with 80 enemy mortar rounds hitting various buildings on base. I watched the PX get blown up, I watched the Signal Corps’ main building get blown up, I watched our church get blown up and the barracks across the street were also blown up by VC mortars,” he said. “Ho Chi Minh thought if he could take the U.S. Army Headquarters at Long Binh he would win the war. The fighting got very, very heavy around the perimeter of our base,” Vuolo explained. “The VC were attacking the fence line and banging pots and pans as they came. What the enemy hoped was we would expend all our firepower shooting at the VC and then the NVA regulars would force their way inside the fence. “There was a leper colony right outside the base at Long Binh. The VC dug tunnels under the colony and hid in them until they attacked,” he said. “They pulled human wave attacks on the fence protecting the base. They attacked mostly at night. “Fortunately for us, the United States has the best Air Force in the world. We called in B-52 (bomber) strikes. They hit the area just outside the fence, including the leper colony, with napalm. You could smell enemy flesh burning 24 hours a day,” Vuolo said. They also brought in helicopter gun ships and Gatling guns mounted in transports that cut down the enemy with waves of bullets. It was a fight to the death. 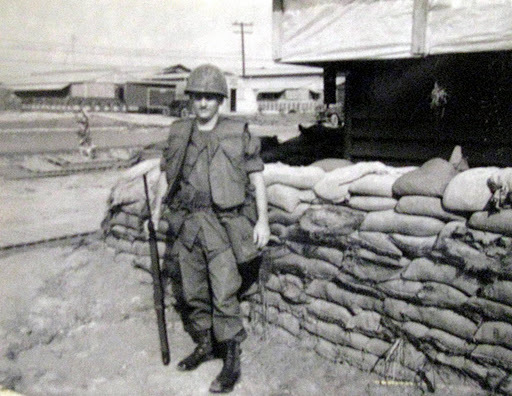 “I received an award because I spent three days and three nights in Bunker 335, along the perimeter fence, with my M-14 and M-16 rifles keeping the enemy from breaking through. I was a sharpshooter. “I almost lost my life on the second night during a human wave attack. A round from an enemy AK-47 (assault rifle) hit the big I-beam next to my head. If the bullet had been six inches further over it would have hit me between the eyes,” Vuolo said. I was looking at the enemy through a Starlight scope while wearing a luminescent wrist watch,” he explained. “The enemy could see my luminescent watch. From that day on, when I went out to be bunker guard, I didn’t wear a watch with a luminescent dial. Vuolo’s computer building escaped the “Tet” attack unscathed. The same could not be said for the United States of America. It was the “Tet Offensive” that convinced the American public Vietnam was a useless war in the wrong place at the wrong time. As a consequence, U.S. forces eventually pulled out of the country and the Communist hordes in the north took control in the south. When he returned from Vietnam he was immediately discharged from the Army because he had extended his tour in the combat zone. Both parents wanted him out of the Army. This story was first published in the Charlotte Sun newspaper, Port Charlotte, Florida on Monday, Oct. 11, 2011 and is republished with permission. 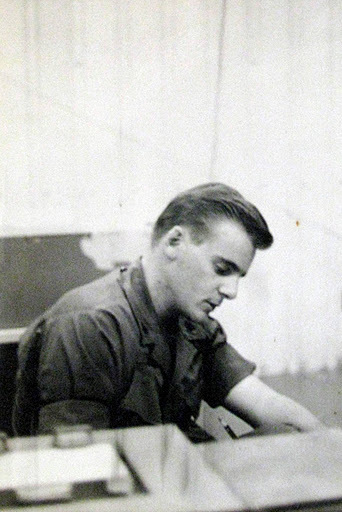 Click here to view Vuolo’s collection in the Library of Congress Veterans History Project. came across your story of Sgt Ed Vuolo. I had similar experiences, at Long Binh, during the ’68 Tet. The odd part is I had the same MOS but was attached to a mobil computer unit that ran mostly secret reports on ammo expenditures. Now trying to associate loss of hearing to events of Tet but having an MOS of 74d20 is posing a problem. If you entered service in 1968, how did you get through basic and AIT in time to get to Vietnam for the Tet offensive which started at the end of January in 1968? I don’t have an answer for you other than to say I must have gotten my dates screwed up.